1) No.1 passes to No. 2. 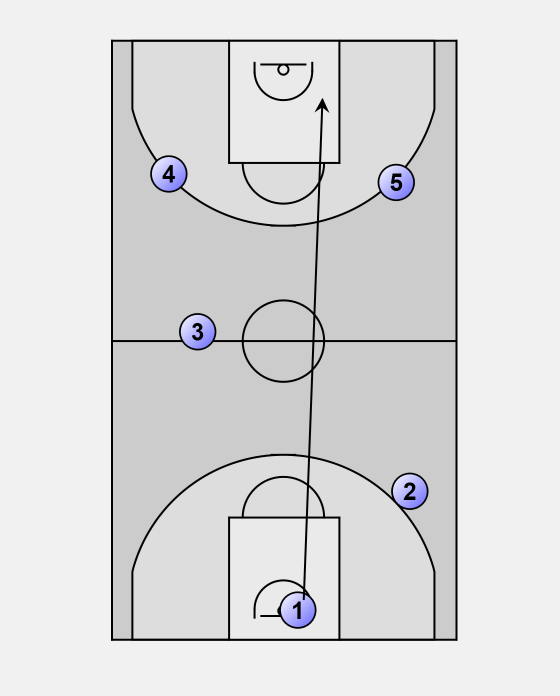 2) No.3,4,5 push up the court. 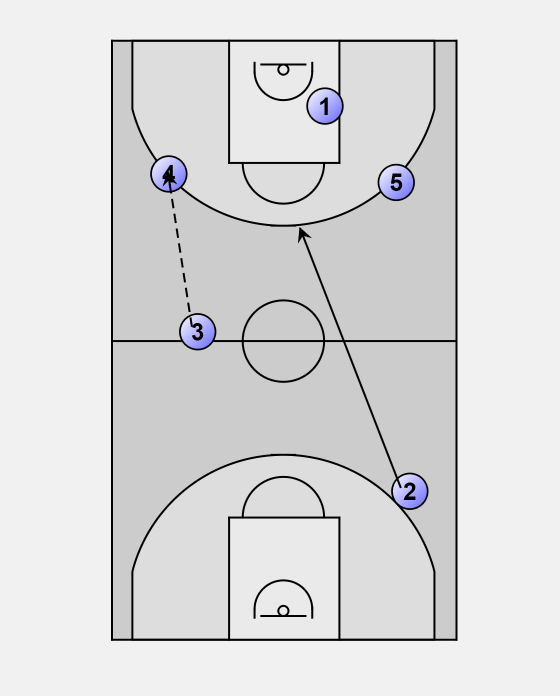 3) No.1 runs up to the low post. 4) No. 2 passes to No. 3. 5) No. 3 passes to No.4. 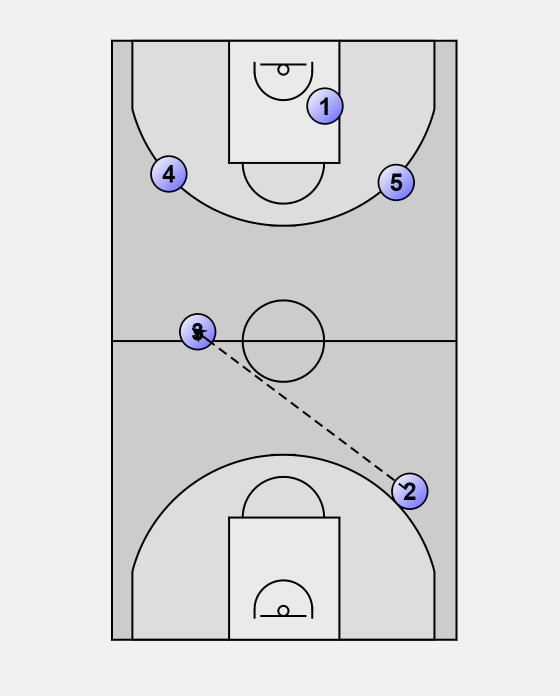 6) No.2 runs to the top of the three point line. 7) No. 3 drops back to a safety position on half way. 8) No. 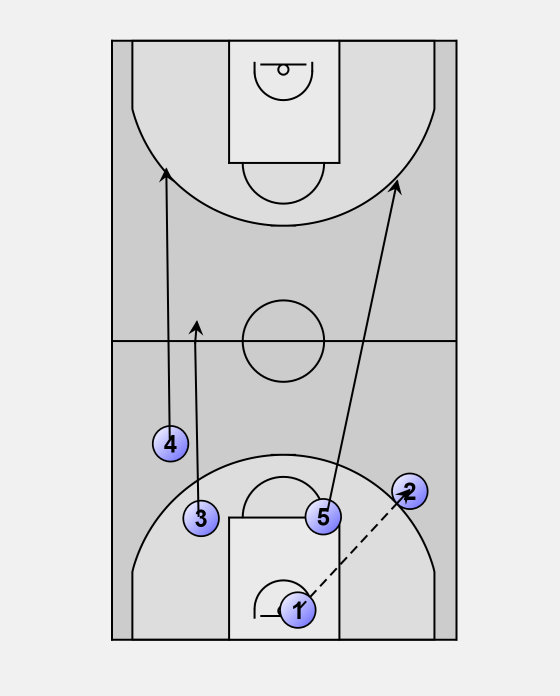 1 sets a screen on high post for No.5. 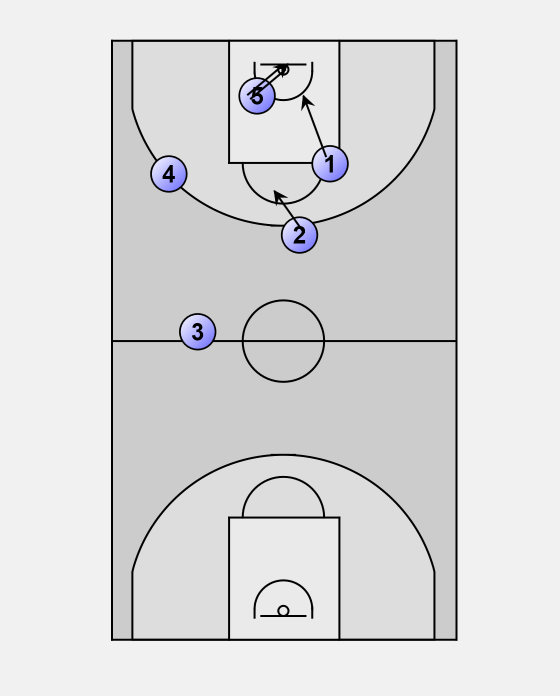 9) No.5 cuts past the screen to the basket receiving the pass from No.4. 10) No.5 shoots the ball while No. 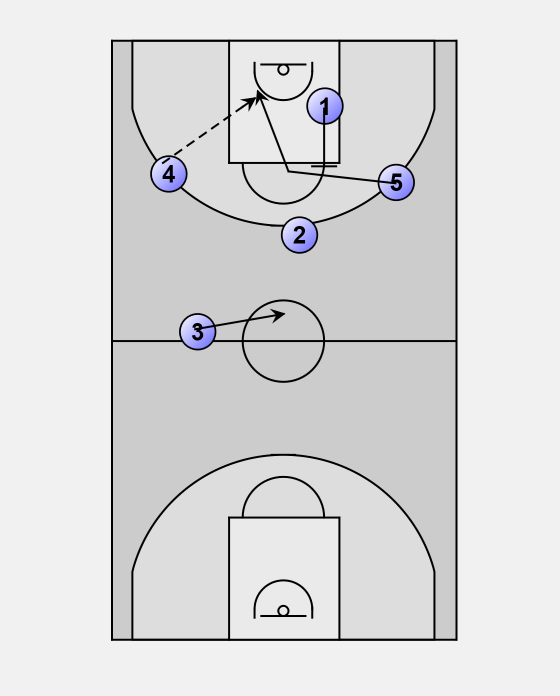 's 1 & 2 move in to rebound. 11) The move is complete.